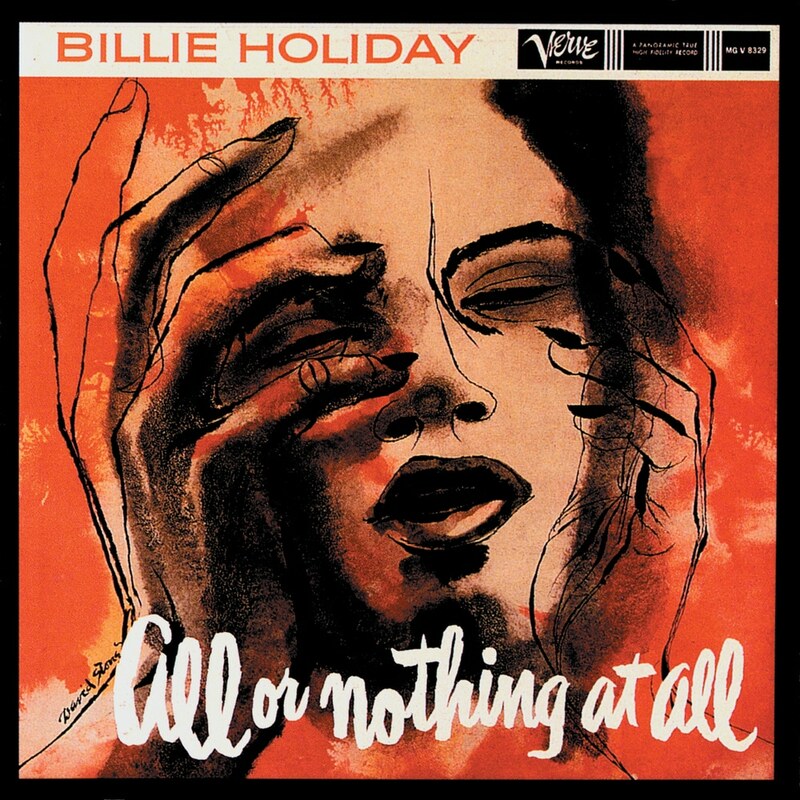 "Granz succeeded in coaxing a series of performances from her that were moving, uniquely personal and fascinating cameos ..."
Recorded in 1956 and 1957, All Or Nothing At All was one of Billie Holiday's last releases before her death in 1959. A collection of jazz and pop standards by the Gershwins, Irving Berlin and Duke Ellington, among others, the album was produced by legendary producer Norman Granz. Holiday runs the emotional gamut from summery optimism (Love Is Here To Stay) to pathos-rich musings (Ill Wind) backed by a strong studio lineup of veterans including Red Mitchell on bass and Ben Webster on tenor saxophone.